So. Do you think our little town of Newberg is proud of its university’s champion Lady Bruins? 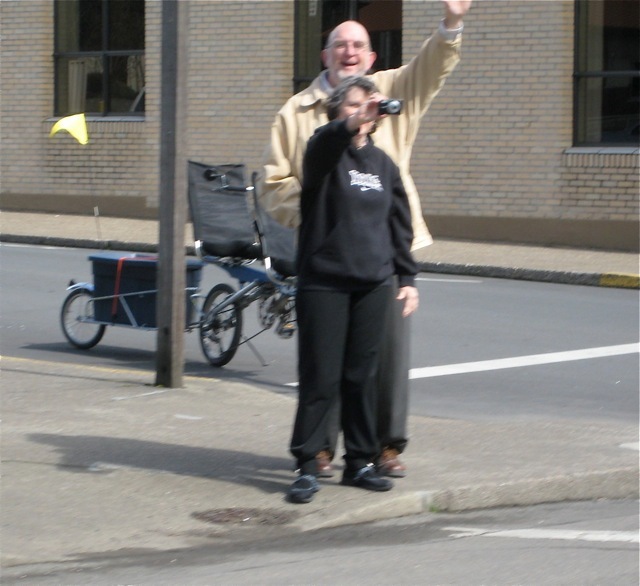 then rode our tandem south one block to wave our congratulations as they passed going the other direction. It was pretty cool.